I’ve been reading to my kids since before birth (thank you Jim Trelease for the Read-Aloud Handbook! ), and now that they read on their own as well, it was time to try a traditional literature study unit. 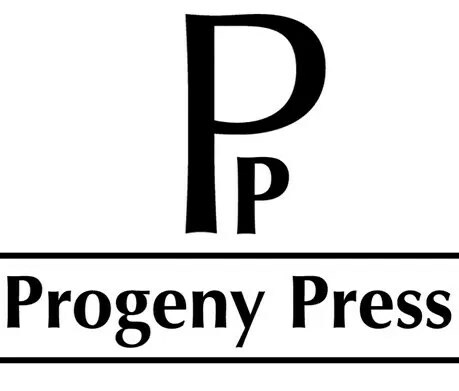 Progeny Press has a great selection of quality books for all ages, and when the opportunity arose to review one of their products, I was happy to oblige. To be honest, I had never heard of The Golden Goblet – an ancient Egyptian-period mystery – but we had already read The Hobbit together, the Little House books, and were just getting started on an Ancient Civilizations unit, so I figured a who-dunnit with lots of options for learning Egyptian culture would be perfect. From the website… Ranofer dreams of following in his father’s footsteps as a goldsmith, but when he is suddenly orphaned, he struggles under the abusive control of a half-brother. When he discovers tomb robbers, Ranofer is swept into danger, mystery, and intrigue, but he never loses sight of his dreams. This exciting coming-of-age tale brings Ancient Egypt to life. The book itself is an exciting tale of a young boy who must come into his own, solving problems along the way and discovering who he really is. Author Eloise Jarvis McGraw is a 3-time Newberry Award winner, and even contributed to L. Frank Baum’s Wizard of Oz series. Her classic tale is as timely today as when it was first printed. 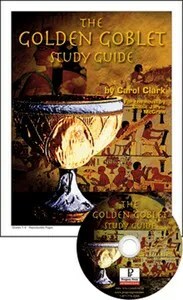 The study guide, written by Carol Clark, is available as a printed booklet for $18.99, or on CD or downloadable for $16.99, contains reproducible lessons on vocabulary and literary terms, comprehension questions, story element analysis, critical thinking, and activities, plus a complete answer key. Additional readings and activities are suggested to enhance your studies. Her years as an educator contribute to making this a quality publication. Parents will be able to relax with the study guide, as it provides a synopsis of the book, author information, and guided reading questions and activities for key sections of the book. The overview can be used as a final test. I especially appreciated the thoughtful questions for each selection – so different from the mindless regurgitation of facts that some guides produce. My students really had to understand the content and respond to it in order to answer the questions completely. We used The Golden Goblet as an introduction to our Ancient Cultures study, and decided to lengthen our study of Egypt for several more weeks! You can read more experiences right HERE,at SchoolhouseReviewCrew.com, and in the words of Reading Rainbow’s Levar Burton, “Don’t just take my word for it!” Read these other great reviews by parent educators like me! Let’s Meet On Your Favorite Platform! © Karen Nelson and kbnelson.wordpress.com, 2011. Unauthorized use and/or duplication of this material without express and written permission from this blog’s author and/or owner is strictly prohibited. Excerpts and links may be used, provided that full and clear credit is given to Karen Nelson and kbnelson.wordpress.com with appropriate and specific direction to the original content.